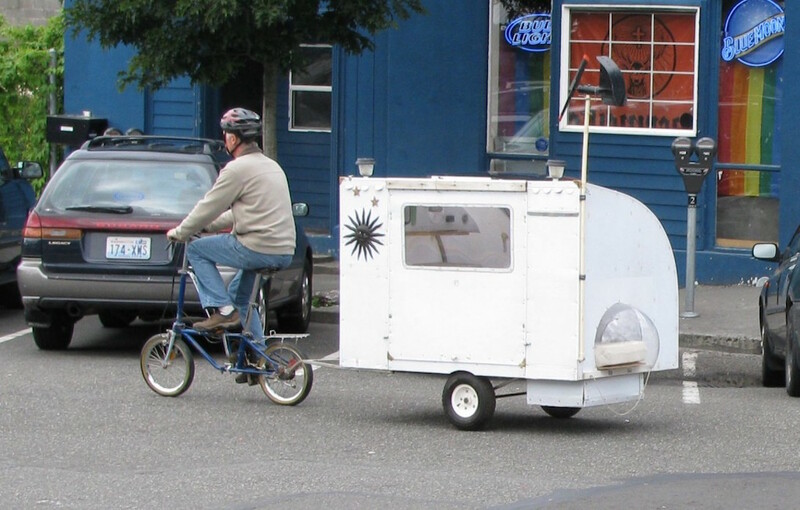 This homemade bicycle-pulled camper was built by inventor Paul Elkins for the Burning Man festival. It features an electric fan, removable floor hatch to make the bed into a recliner, and a small cooking area and storage cubbies. The glass dome you see in the rear lets you look up at the stars at night. More on the build at this post.